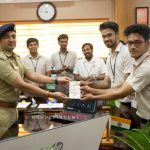 The organizers and Student Coordinators of Vyvidh ’19, a techno-cultural festival organized by Vidya, had a rather enlightening meet with Sri Yathish Chandra G H, IPS, Commissioner of Police, Thrissur (City). 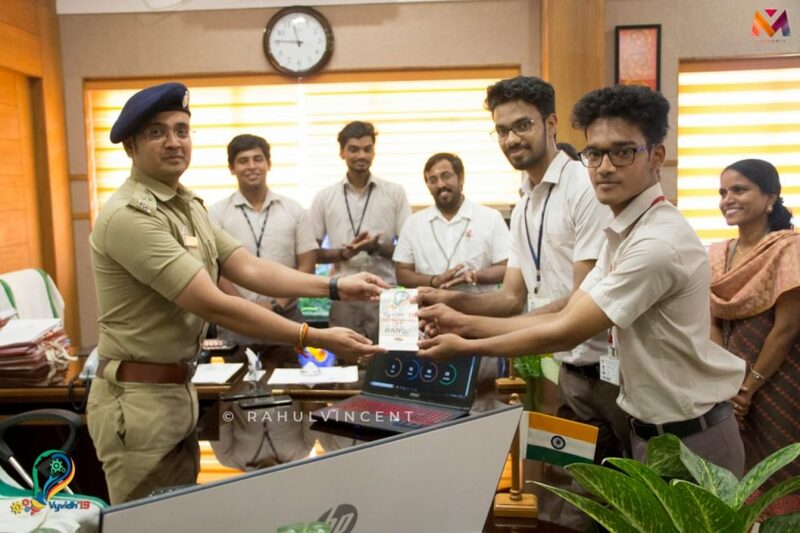 The Vyvidh ‘19 Team visited the Commissioner’s Office on 1 February 2019 for the launch of the official website of Vyvidh ‘19 and handing over the first copy of the brochure of the festival. 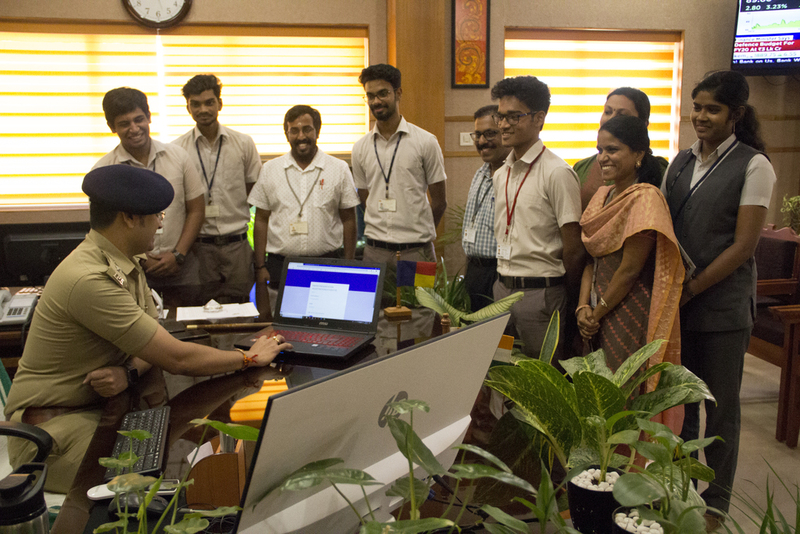 Students were greeted with a pleasant smile followed by numerous questions on the technical aspects of the Vyvidh ‘19 website. 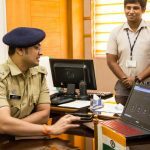 The Commissioner gave several suggestions to improve the security of the website and urged the visitors to implement the same in the coming years. 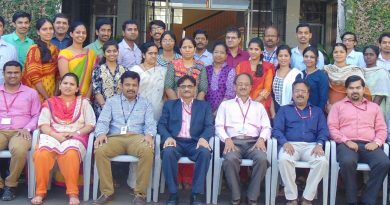 Faculty and staff members (Mr Krishnakumar M (Convener, Vyvidh), Ms Jucy Vareed (Co-convener), Mr Arun K L and Ms Surabhi M S) and student representatives (Mohammed Rameez, Abdulla Anas, Hemanth Janesh, Aadithya Babu, Sreelakshmi, Rahul Vincent , Sheheer) attended the launching ceremony. Sri Yathish Chandra G H officially launched the Vyvidh ’19 website and released the brochure. 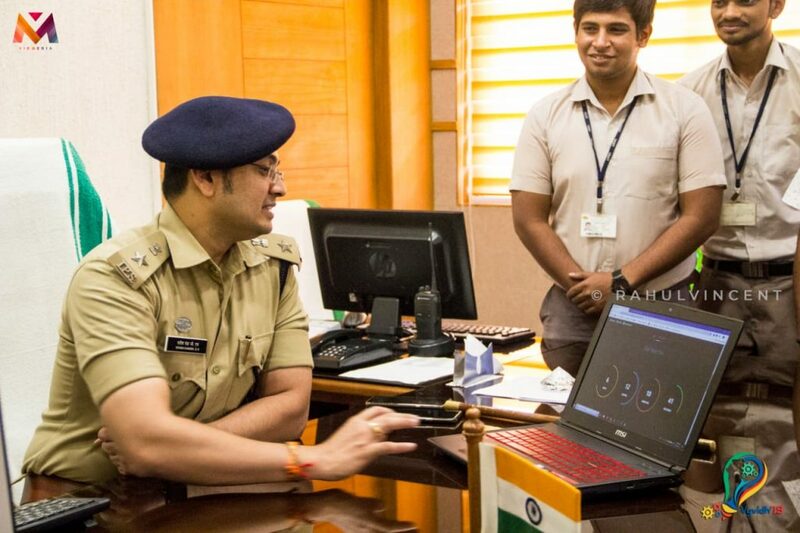 This was followed by a few minutes of interaction during which he urged the students to come up with technical ideas and solutions that would benefit the common man and he also assured that the Police Department would definitely take the initiative to implement the same. The team departed from the Commissioner’s Office with happy faces in awe of the Commissioner and with a lot of positive energy and motivation for doing more for the benefit of society. 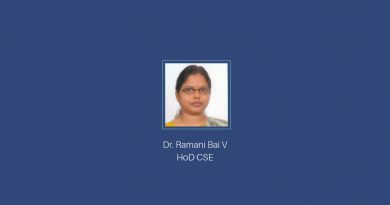 The website of Vyvidh 2019 can be accessed at www.vyvidh.vidyaacademy.ac.in .